Don’t forget to take a picture of your meal before you start eating! Food photos are some of the most popular content on websites like Instagram, Facebook, Twitter, and other social media. You may get teased for snapping a photo before you begin your meal, but food blogs and food-based social media accounts have massive followings online. The most important step after taking your picture? Adding relevant food hashtags to your post to increase engagement and bring more attention to your picture. 3 Why Use Food Hashtags in Your Posts? The best food hashtags are the most popular related to your niche or the type of food in your post. These hashtags are the most popular ones on Instagram, used in millions of pictures. Use these hashtags if you want, but in moderation. Using the top food hashtags on Instagram may not get your post much attention, because there are so many other posts under those hashtags to compete with. Popular global hashtags are used by everyone in the world. This is best for foodie accounts who want to reach as many people as they can, whether they are in the United States or Singapore. To find the best hashtags, use the search bar to search for a keyword. For foodie accounts, try searching #food, #foodie, etc. For chef accounts, you may want to try searching for keywords such as #chef or #cook. Instagram will give you a list of the most popular hashtags with the number of times each one has been used. Another way to find the best hashtags to use is to find an account with similar content to yours and see which hashtags they are using. If you are a restaurant, food blogger or a business that wants to promote locally, you may want to try using geo-modified hashtags based off of global hashtags. To do this, take a global hashtag such as #foodie and add on a geo-modifier. 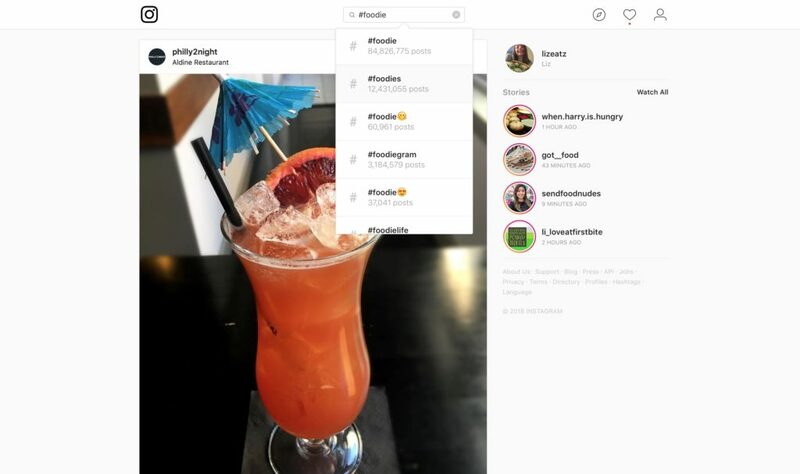 For example, if you are a food blogger based in Los Angeles, use hashtags such as “#LAfoodie,” “#LAfoodies,” and “LAeats” to target local instagram users in Los Angeles. The best way to bring more attention to your food posts is to be specific – overpopulated hashtags like #food are fine to include, but you should also include hashtags that convey exactly what you’re posting. For example, if your food blog is all about cheese, you could include #cheese or #CheesePlease in addition to your more general food hashtags. These food hashtags cater to a more specific audience by placing your post in a more particular section of the online food world. Pick the hashtags you like, or copy and paste the whole set to make your latest food post stand out. Whether your definition of “foodie” is a food snob or just a lover of food and eating (which is everyone, right? ), foodies are all over social media. These hashtags are some of the most popular for foodies everywhere on Instagram, Twitter, and beyond. Many Instagram bloggers share every meal online. Instagram food blogs are popular, as normal users are happy to find a new restaurant. Food bloggers should also use location hashtags to reach followers in their local area, since most people can’t travel around the world for their next meal. Copy and paste these food blogger hashtags. Healthy lifestyles are trending all over social media, as accounts share their tips to looking and feeling better in their bodies. Meal prepping, superfoods, and plant-based diets are popular content online, so if you’re looking for healthy eating tips or creating a health or vegan food page, these are the hashtags for you. Are you preparing the food instead of eating it? Chefs, restaurants, and home chefs may turn to a different set of hashtags to share their creations. To promote your restaurant or your own cooking, try these hashtags. They say breakfast is the most important meal of the day, but brunch may be everyone’s favorite. Breakfast and brunch posts make up some of the most popular food posts. To make your breakfast or brunch post pop, use these hashtags. Why Use Food Hashtags in Your Posts? Hashtags group photos together to get your food photos in front of people who might not be following you, so they see your content and hopefully follow you. In other words, hashtags put your photos in an index, so others can find your photo and your page. Smart use of hashtags can skyrocket views on your post and profile. You can also use hashtags to search through popular posts for inspiration, ideas, or to find other users posting similar or interesting content. Grow your Instagram Followers by 200-500 per week with this system! Instagram allows for up to 30 hashtags. 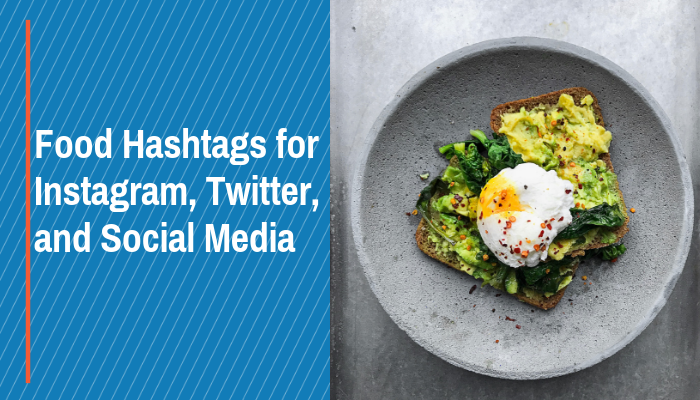 If you are looking to grow your Instagram followers as much as you can, load up a bunch of popular food-related hashtags in order to expand your reach. The best practice is to use some very large hashtags and some that are more specific to your post, but not so specific that not many people will search them. Using some larger hashtags and some less populated hashtags will ensure that your post reaches a large audience without getting lost in a widely used hashtag like #food, which has over 314 million posts.